Being part of the opposition hasn’t stopped Sen. Bam Aquino from working on reforms that benefit the Filipino people. “Tuloy lang ang laban, tuloy ang pagtrabaho sa mga repormang kailangan ng taumbayan,” said Sen. Bam, who just passed his 21st and 22nd law in his five years as senator. Recently, Republic Act 11035 or the Balik Scientist Act, which Sen. Bam pushed as principal sponsor and principal author, has been signed into law to encourage Filipino scientists abroad to return home and contribute to solving the country’s problems. “Kailangan ng bawat bansa ng mga scientists para guminhawa ang buhay at umunlad ang bayan. Sila ang susi sa mga makabagong solusyon na kailangang kailangan ngayon,” said Sen. Bam on the passage of his law. Sen. Bam was also a co-author of the Philippine Mental Health Law, which is now known as Republic Act 11036. Despite being a member of the opposition, Sen. Bam has committed to work for the welfare of the Filipino, especially the poor. “Kapag makatutulong sa pamilyang Pilipino, lalo na sa mahihirap, mauuna akong sumuporta,” said Sen. Bam. However, Sen. Bam said he will be at the forefront of the fight when it comes to policies that will burden the Filipino people. “Ngunit pag may magpapahirap lalo sa mga Pilipino, mauuna rin akong tumutol,” asserted Sen. Bam, one of four senators who voted against the ratification of the government’s tax reform program. Sen. Bam continues to speak up on the issue of rising prices and is pushing for a measure to roll back the excise tax on fuel under the Tax Reform for Acceleration and Inclusion (TRAIN) Law. 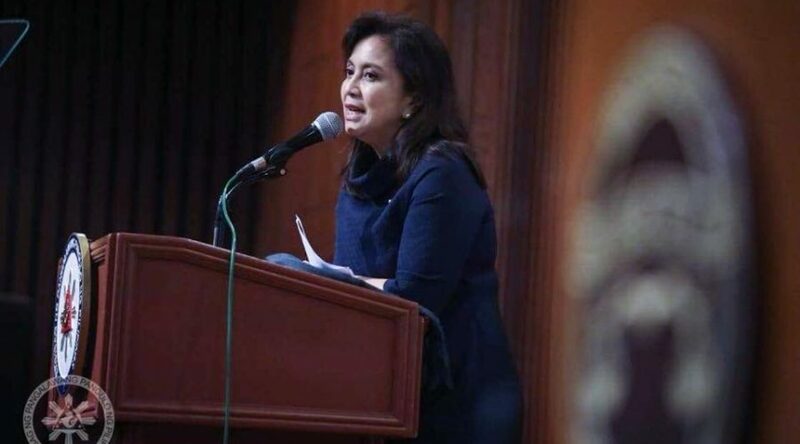 A senator said the camp of Vice President Leni Robredo does not deserve the P50,000 fine imposed by the Presidential Electoral Tribunal (PET) for violating the gag order, saying they were only defending the truth amid the black propaganda from the camp of losing candidate Ferdinand Marcos Jr.
“Kailangan bang pagmultahin ang nagtatanggol sa katotohanan,” said Sen. Bam Aquino, campaign manager of Vice President Robredo in the 2016 elections. Sen. Bam sees nothing wrong with the pronouncements by the camp of Vice President Leni Robredo, stressing that they were only out to counter the lies and black propaganda from the Marcos’ camp. “Kailangan mo ring ipagtanggol ang sarili mo laban sa kasinungalingan at paninira na inilalabas ng kampo ni Marcos,” said Sen. Bam. “Mula sa akusasyon ng square sa balota at basang balota, puro kasinungalingan na lang ang inilalabas ng kampo ni Marcos. Sila lang ang dapat pagmultahin at hindi si VP Leni,” added Sen. Bam. Earlier, the PET imposed a P50,000 fine on both camps for violating the High Tribunal’s gag order on the election protest filed by Marcos. Robredo’s legal counsel, Atty. Romulo Macalintal, said the Vice President should take a stand against the lies propagated by the Marcos camp. “Sometimes, we have no choice but to speak out, in order for the public to be enlightened amid the relentless black propaganda, which aims to discredit the recount being spearheaded by the PET,” Macalintal said in a statement. Senator Bam Aquino challenged the government’s financial managers to personally go down to the people and listen to their plea on the high prices of goods due to Tax Reform for Acceleration and Inclusion (TRAIN) Law. “Totoo po yan, numbers don’t lie. Pumunta po kayo sa palengke, hindi po nagsisinungaling ang presyo ng bilihin,” said Sen. Bam, one of four senators who voted against the ratification of the government’s tax reform program. “Ang ‘hard fact’ po ay nalulunod ang mga Pilipino sa taas ng presyo ng bilihin,” the senator added. Sen. Bam made the pronouncement after Budget Secretary Ben Diokno said that “hard facts” will refute President Duterte’s statement that the economy is in the doldrums due to high prices of goods. “Sana mag-usap muna ang Presidente at ang Budget Secretary upang klaruhin ang estado ng ekonomiya. Mas mainam kung bumisita na rin sila sa mga komunidad upang malaman kung ano ang dinadanas ng mga pamilyang nasasagasaan ng kanilang polisiya,” Sen. Bam asserted. Sen. Bam urged the administration to support his measure calling for the immediate suspension of the excise tax on petroleum products under the TRAIN Law to ease the public’s burden. Under Sen. Bam’s measure, the excise tax on fuel under the TRAIN Law will be rolled back once average inflation rate surpasses the annual inflation target over a three-month period. Sen. Bam also called on the government to fully implementation the mitigating measures under the TRAIN Law, such as the unconditional cash transfer program for poor families and the Pantawid Pasada for jeepney operators and drivers. 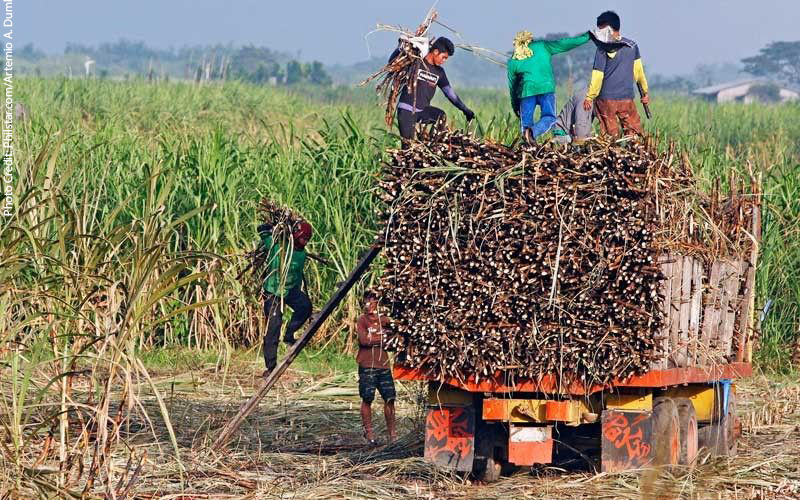 While the Sugar Regulatory Administration (SRA) must monitor and maintain sugar prices, the government must ensure that financial assistance and other mitigating measures under the tax reform program are rolled out immediately, Sen. Bam Aquino pointed out. Sen. Bam said increase in price of sugar will also result in rise in prices of flour, bread and other sweetened products that are essential commodities to families. “Wala na ngang ihihigpit ang sinturon ng mga mahihirap na Pilipino dahil sa TRAIN Law, lalo pa silang mahihirapan kung tataas ang presyo ng asukal,” said Sen. Bam, one of four senators who voted against the ratification of the government’s tax reform program. “Kailangan na nila ng salbabida kundi tuluyan na silang malulunod sa mataas na presyo ng bilihin,” added Sen. Bam. Sen. Bam renewed his call to the administration to support his measure that seeks to suspend and roll back the excise tax on petroleum products under the Tax Reform for Acceleration and Inclusion (TRAIN) Law. Under Sen. Bam’s measure, the excise tax on fuel under the TRAIN Law will be rolled back when average inflation rate surpasses the annual inflation target over a three-month period. Also, Sen. Bam said the government should fast track the full implementation of mitigating measures under the TRAIN Law, such as the unconditional cash transfer program for poor families and the Pantawid Pasada for jeepney operators and drivers. 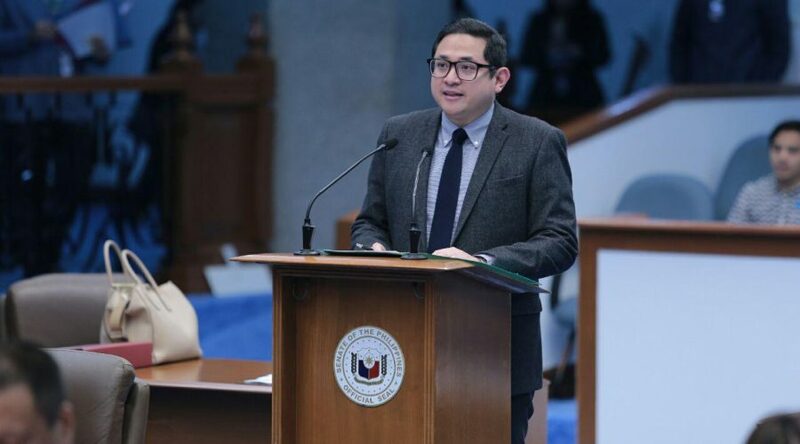 Senator Bam Aquino urged the government to ensure that the imported rice purchased by the National Food Authority (NFA) will go to its intended beneficiaries to guarantee a steady supply of affordable rice in the market. “Mahigit isang taon ding nalunod ang ating mga kababayan sa mahal na presyo ng bigas. Ngayon, tiyakin natin na tuluy-tuloy na ang supply ng murang bigas para gumaan naman ang kanilang kalagayan,” said Sen. Bam. Earlier, the government said it expects prices of rice to lower with the arrival of the first tranche of imported rice, which will be distributed to provinces in Luzon and Mindanao. The rice has two varieties, priced at P27 and P32 per kilo. The prices of commercial rice in the market rose to as much as P45 to P50 per kilo with the absence of NFA rice in the market since March of last year. During a Senate hearing, NFA administrator Jason Aquino admitted that the agency failed to comply with the 15-day buffer stock policy for almost one year. Sen. Bam said NFA’s inefficiency resulted in the increase in prices of commercial rice, forcing Filipino families to spend more for their staple food. “Bigas ang bumubuhay sa ating mga Pilipino araw-araw kaya kailangan itong pagtuunan ng pansin ng pamahalaan at tiyaking mayroong sapat na supply ng murang bigas sa merkado,” added Sen. Bam. 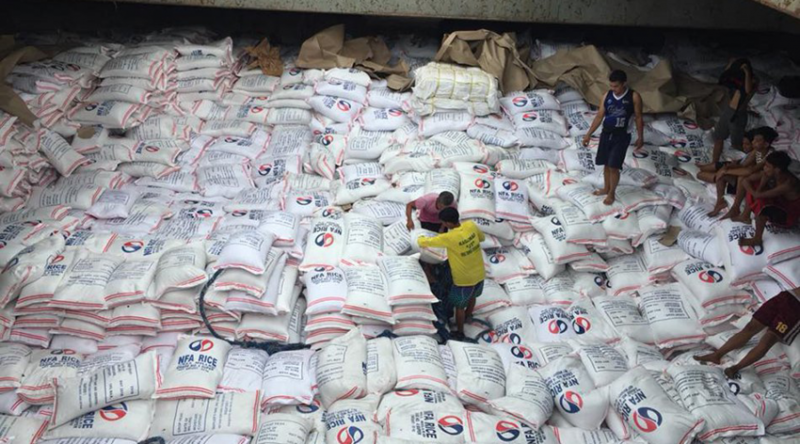 Despite the arrival of imported NFA rice, Sen. Bam maintains that the NFA administrator should resign to avoid a repeat of last year’s debacle. Also, Sen. Bam is worried that the imported NFA rice could land in the hands of traders who will sell it for a higher price. “Ngayong may dumating na bigas, baka maulit lang ang nangyari at mapunta na naman agad ang buffer stock sa kamay ng mga traders,” Sen. Bam stressed. 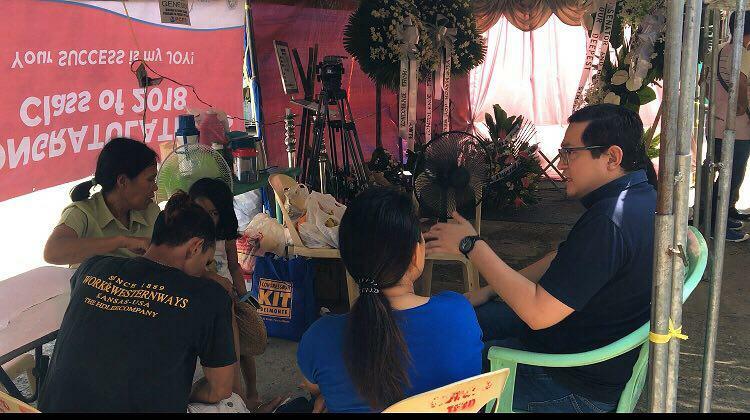 Senator Bam Aquino questioned the government’s decision to continue its campaign against loiterers even without legal basis. “Maraming mahihirap ang na-agrabyado at namatay pa si Tisoy, bakit pa nila itutuloy?” said Sen. Bam, referring to the death of Genesis “Tisoy” Argoncillo, who died in the custody of the Quezon City Police District. With Duterte’s inconsistent pronouncements, Sen. Bam underscored the need for the Senate to investigate and clarify the matter. “Sa pabagu-bagong polisiya ng administrasyon sa mga tambay, lalong kailangan imbestigahan ito ng Senado para maklaro,” said Sen. Bam, adding that the public and even the PNP are confused with the government’s conflicting statements on the matter. Sen. Bam has submitted Senate Resolution No. 772 seeking to investigate the government’s policy against loitering, which he called as discriminatory and anti-poor. In his resolution, Sen. Bam urged the Committee on Public Order and Dangerous Drugs, headed by Sen. Panfilo Lacson, to investigate the matter to protect ordinary Filipinos from unjust, discriminatory and abusive policies and practices. “There is a need to assess whether the PNP’s anti-tambay campaign, as well as the local ordinances on which they are supposedly based, are consistent with national laws and the Constitution,” said Sen. Bam. Sen. Bam filed the resolution days after Argoncillo died in the custody of the Quezon City Police District. Argoncillo was arrested on June 15 for allegedly causing alarm and scandal, but died four days later. The PNP issued different statements regarding Argoncillo’s death. First, it claimed that it was due to self-inflicted trauma then changed it to suffocation due to the severe congestion of prison cells. After Argoncillo’s death certificate revealed that he died from multiple blunt force trauma to his neck, head, chest and upper extremities, the QCPD claimed that he died after he was mauled by fellow inmates. 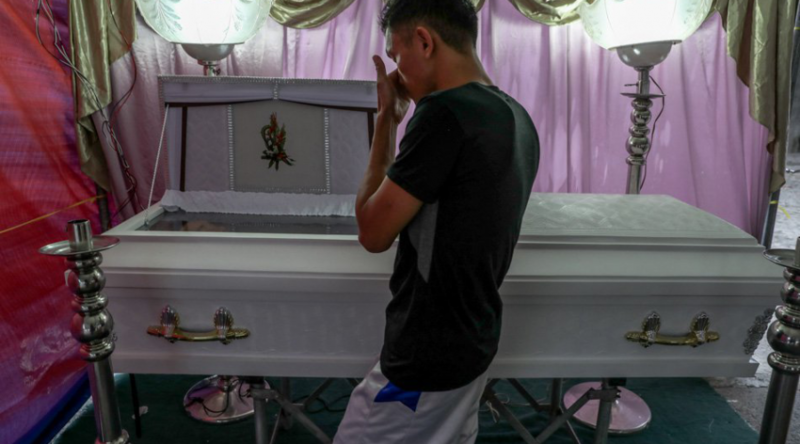 Senator Bam Aquino has filed a resolution seeking to investigate the government’s policy against loitering and the death of Genesis “Tisoy” Argoncillo, who died in the custody of the Quezon City Police District four days after he was arrested for alleged alarm and scandal. “Maraming mga detalye na hindi tumutugma, pero ang malinaw sa akin, hindi dapat namatay si Tisoy,” said Sen. Bam, who filed Senate Resolution No. 772. “Hindi sya mamamatay kung hindi pinatupad ang isang polisiya na nakatarget ang mahihirap,” added Sen. Bam. In his resolution, Sen. Bam called the campaign against loitering as untenable, discriminatory and anti-poor as he urged the Committee on Public Order and Dangerous Drugs, headed by Sen. Panfilo Lacson, to investigate the matter to protect ordinary Filipinos from unjust, discriminatory and abusive policies and practices. “Pumunta lang sa tindahan, inaresto dahil hindi naka-tshirt. Ngayon, nakaburol na. Napakasakit nito para sa pamilya ng biktima at sa ating bansa. Nakakabahala ang paiba-ibang deklarasyon ng pulis sa dahilan ng pagkamatay ni Tisoy,” said Sen. Bam. Several citizens also claimed that they were arrested while waiting outside the gate of a friend’s house in Makati City. They were detained for one hour and were shown a video of President Duterte’s pronouncement against “tambays” as basis for their detention. On June 17, 2018, a social media post showed CCTV footage of a shirtless man who was accosted in front of his house by roving police seconds after he stepped out of the door in Novaliches, Quezon City. The man, Ariel Morco, was not arrested but was ordered to clean the bathroom of the police station. “Halos lahat ng mga naaresto ay mga mahirap at ang mga operasyon ay ginagawa sa mahihirap na komunidad. Tama na po ang pagpapahirap sa mga mahihirap,” Sen. Bam stressed. 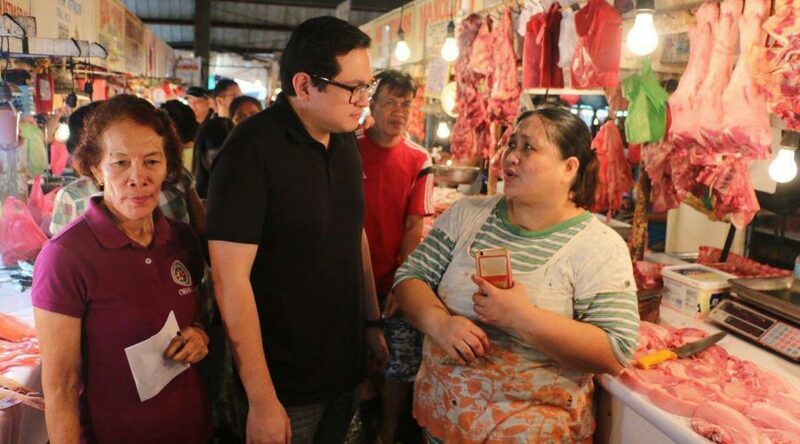 Senator Bam Aquino called on President Duterte to also listen to the cry of the people, especially the poor, on the high prices of goods and services caused by the Tax Reform for Acceleration and Inclusion (TRAIN) Law. “Tama po kayo. 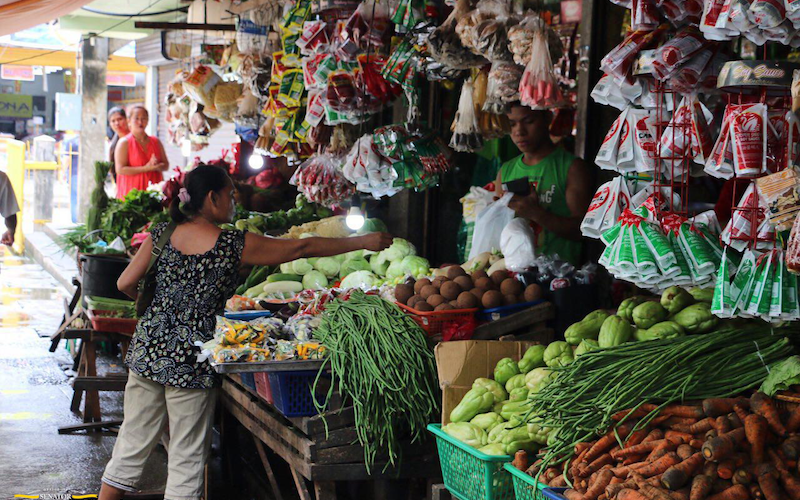 Ramdam na ramdam na ng mamamayan ang paghina ng ekonomiya dahil nalulunod na ang Pilipino sa taas ng presyo,” said Sen. Bam, referring to Duterte’s pronouncement that the rising prices of goods could prolong the economic stagnation in the provinces. “Ang isa sa magpapasigla sa ekonomiya lalo na sa probinsya at kanayunan ay ang pagpapababa ng presyo ng bilihin,” added Sen. Bam, one of four senators who voted against the ratification of the TRAIN Law. Sen. Bam said Duterte must listen to the people, who are pleading on the government for respite from the burden of high prices of goods and services. “Sana po pakinggan natin ang hinaing at panawagan ng taumbayan, hirap na hirap na po ang pamilyang Pilipino dahil sa taas ng presyo. I-roll-back na natin ang excise tax sa petrolyo na dulot ng TRAIN law,” said Sen. Bam. Sen. Bam renewed his call for the immediate suspension of the excise tax on petroleum products under the TRAIN Law to ease the public’s burden. The senator has filed a measure seeking to roll back of TRAIN’s excise tax on fuel when average inflation rate surpasses the annual inflation target over a three-month period. Sen. Bam is also pushing for the full implementation of mitigating measures under the TRAIN Law, such as the unconditional cash transfer program for poor families and the Pantawid Pasada for jeepney operators and drivers. In addition, Sen. Bam has also filed a resolution calling for an investigation regarding the implementation of the unconditional cash transfer to ensure if the amount is still sufficient to cover the increase in prices of goods and other services. The government should solve the pressing problem of high prices of goods and services caused by the Tax Reform for Acceleration and Inclusion (TRAIN) Law, instead of focusing on so-called loiterers or “tambays”, according to Sen. Bam Aquino. “Mas matinding problema ang mataas na presyo ng bilihin, hindi mga tambay,” said Sen. Bam, one of four senators who voted against the ratification of the government’s tax reform program. “Nalulunod na sa taas presyo ang taumbayan. Sana ito ang pagtuunan ng pansin ng ating gobyerno,” added Sen. Bam. 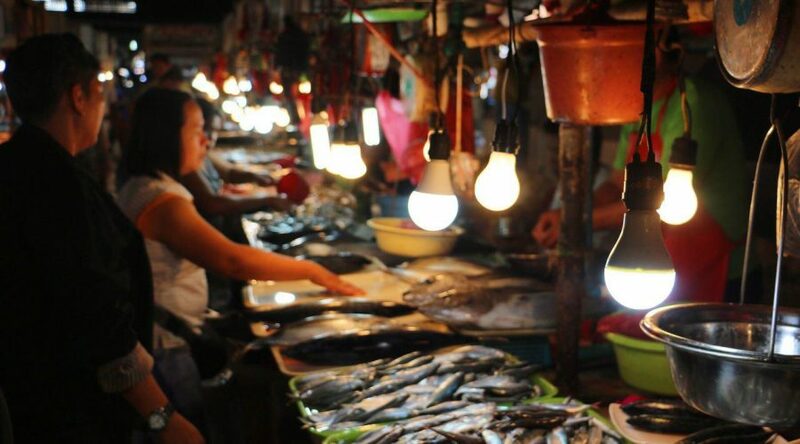 Sen. Bam called on the government to lay a clear-cut plan on how to address the high prices of goods and services to alleviate the plight of Filipinos, especially the poor. “Ano po ba talaga ang plano ng gobyerno para maisalba ang napakaraming kababayan nating nalulunod sa taas presyo?” said Sen. Bam. 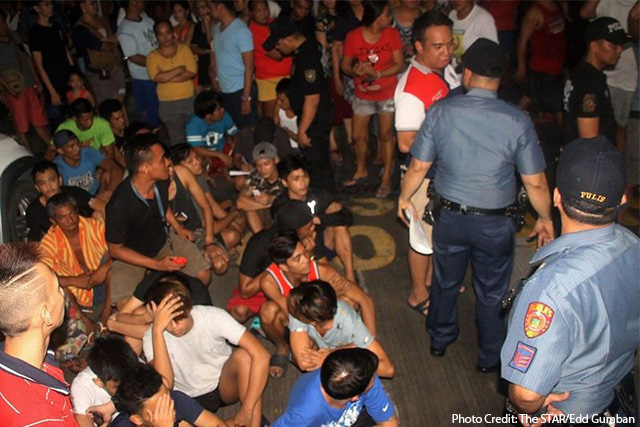 At the same time, Sen. Bam urged the government to stop arresting loiters, most of whom are poor, and focus on the issue that burdens them the most, which is the high prices of goods. “Tama na po muna sana ang paghuli sa mga tambay na karamihan ay mahirap. Unahin po sanang tugunan yung nagpapahirap sa kanila,” said Sen. Bam as he renewed his call for the suspension of the excise tax on petroleum products under the TRAIN Law. Sen. Bam has submitted a measure seeking to roll back of TRAIN’s excise tax on fuel when average inflation rate surpasses the annual inflation target over a three-month period. In addition, Sen. Bam is also pushing for the full implementation of mitigating measures under the TRAIN Law, such as the unconditional cash transfer program for poor families and the Pantawid Pasada for jeepney operators and drivers. Mahirap na naman ang biktima. Tumambay lang sa tindahan, nanonood ng video sa cellphone, inaresto dahil hindi naka-tshirt. Ngayon, nakaburol na. Napakasakit nito sa kanyang naiwang pamilya at napakasakit na nangyayari ito sa ating bayan. Nakakabahala pa na paiba-iba ang deklarasyon ng pulis sa dahilan ng kaniyang pagkamatay. Nakikidalamhati tayo sa mga naulila ni Tisoy. At kasama nila tayong nananawagan para sa katarungan. Halos lahat ng mga naaresto ay mga mahirap at ang mga operasyon ay ginagawa sa mahihirap na komunidad.